What’s Happening With Google’s Local Search? Do I Have To Pay For It? Google’s Local Search or map listings as some refer to it is inevitably going to change. We’ve seen the evolution of local search fluctuate from 7+ to 5 to 3 results shown on the first page of Google over the years. 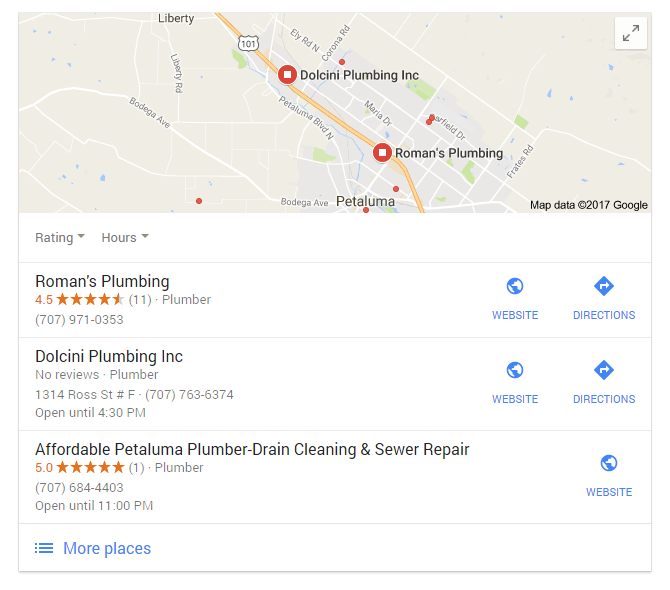 For a while now Google has been testing sponsored ads in place of your traditional organic local search listings next to the map. 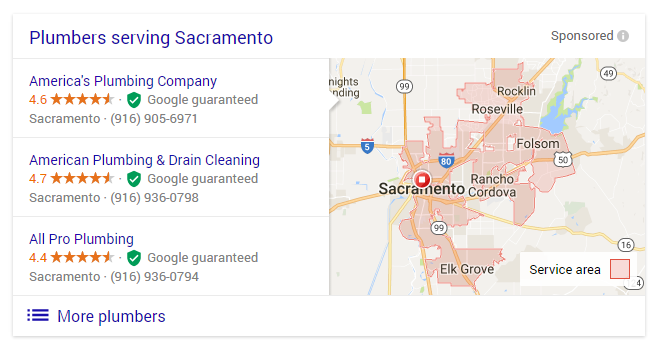 These ads have been limited to what Google classifies as home services, the ads have been tested primarily in the San Francisco Bay Area but have recently been expanded to Los Angeles, San Diego, Sacramento & Stockton. You will see throughout 2017 that this program is rolled out to additional markets before it becomes the standard. Here is an example of organic local results and sponsored local results. With this guarantee, when a consumer books an appointment through Home Services with a participating business and you are not satisfied with the quality of work, Google may refund up to the amount paid for the job. What if your business isn’t classified as Home Services? Currently these ads are only provide to businesses in the category of Home Services, these include: Locksmiths, Plumbers, Handymen, Contractors, Electricians, HVAC, Painters, Garage Door Pros & House Cleaners. While this will continue to roll out to more markets, you can be certain that Google is exploring the possibility of all local search being paid. If you own a local business, you have experienced the positive results of being at the top of Google and it will become a pay to play option eventually. For businesses outside of Home Services, they have added an extension to Adwords called Location Extension. This allows you to have ads show up above all other local organic search ads. While Google only allows one ad currently and was introduced late last year, you can expect to see this program expand into paid search. To learn more about paid local ads click here. If your business is part of Google Home Services, you should introduce yourself to it. If your business is outside this category, introduce yourself to the Adwords Local Extension to see the results for yourself. While we understand the importance of SEO and that it will never go away, planning for the future now will never hurt. If you have any questions about Adwords, Local SEO or Home Services Program, contact us.